Free you spirit and clear you mind with scores of scenic delights in the “trad village” of Doolin! 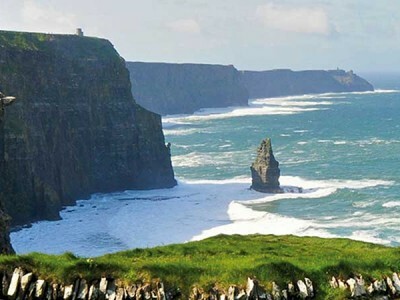 The scattered seaside fishing village of Doolin County Clare is celebrated as the home of traditional Irish music and continues this rich and nourishing heritage today. 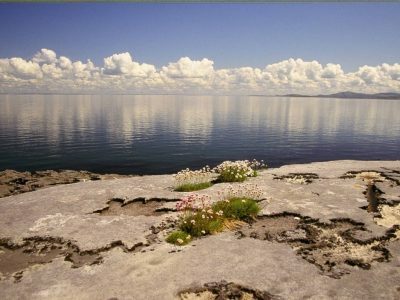 Standing at the midway point of the Wild Atlantic Way, it is surrounded by the Burren, the Cliffs of Moher and the Aran Islands and is a nearby neighbour of Lisdoonvarna, famed for its annual matchmaking festival. Doolin gets its name from the Irish ‘dubh linn’ meaning ‘black pool’ and was at one time a “Gaeltacht” speaking area, meaning many of its older residence could only speak the native Irish language. During the 1920’s it became a haven for artists and writers such as J.M. Synge, George Bernard Shaw and the Welsh poet Dylan Thomas, and today welcomes and inspires visitors, surfers and musicians from around the world. 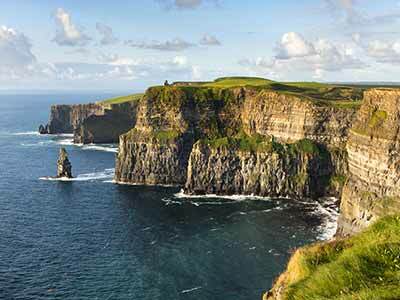 Boat trips to the Cliffs of Moher set sail daily from Doolin pier but the village itself offers a commanding view of the wild and wonderful Atlantic Ocean, together with a slice of rural Irish life. Watch suffers ride the pounding waves, have some time to yourself with a walk by the pier, stroll down Fisherstreet and spot the living tradition of handmade Irish craft in the village shops, from quality Irish knitwear to eye-catching jewellery – and even local perfume! Meet some of the locals and experience true hospitality in one of the bars or award-winning seafood restaurants while enjoying freshly prepared fish caught a stone’s throw from your table! 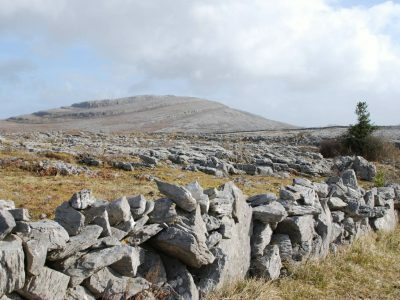 Many famous names on the traditional Irish music scene have their roots in Doolin, many more well-known musicians from all fields travel far and wide just to join in a music session or stir their creativity in the midst of the rugged limestone landscape. Rumour even has it that that J.R.R. Tolkien found his inspiration for ‘The Lord of the Rings’ while staying nearby! Dive into Doolin and who knows what you’ll discover.